BlacKkKlansman operates on a premise so absurd that it would be scoffed by even the most open-minded moviegoer under normal circumstances, yet because it’s inspired by true events, the comedy of the situation is magnified. Stallworth calls the phone number listed and pretends to be a racist white man who hates minorities. The person on the other end of the phone, Walter Breachway, is enthusiastic about meeting Stallworth. With the help of a Jewish coworker, Flip Zimmerman, the two set out to gather intel for this new chapter’s plans. An operation involving a black police officer infiltrating the Ku Klux Klan is an idea so foolhardy that it should fail before it before it began. Indeed, quick a lot of the humor is derived from the fact that the Klansmen, despite touting themselves as the superior race, are gullible enough to be falling for this. Evidently, the idea of doing a simple background check to determine Stallworth’s legitimacy never crosses anyone’s mind. It’s particularly egregious given that Stallworth commits the novice mistake of using his real name. To salvage this error in judgement, Stallworth enlists the help of Flip Zimmerman. Because the deception would obviously be revealed the exact second Stallworth showed up as himself, he has Zimmerman attend the meetings in his stead. Zimmerman is of Jewish descent, although he doesn’t practice his religion. Tellingly, he never really thought of his heritage prior to the operation, yet when he is faced with the most racist people imaginable, it’s often all he can ever think about. What really sells this team is the acting performances; John David Washington and Adam Driver work really well off of each other, lending a sense of comradery that only gets better as the film goes on. What’s especially hilarious is that Stallworth is very nearly made the leader of the chapter as a result of their collaboration. Topher Grace as the morally bankrupt David Duke is also quite something. Someone not familiar with him would assume that, like his underlings, he’s the archetypical weapons-grade racist who can’t go more than ten seconds without the overwhelming desire to consume his own shoelaces. This person would then be taken aback by Mr. Grace’s accurate depiction – a mild-mannered, polite individual who makes his shockingly racist beliefs sound completely normal. This actually goes a long way in making him terrifying. Mr. Grace would later express in interviews the extreme difficulty of researching and subsequently portraying such an abhorrent person, which included having to listen to his speeches for more than two seconds. After all was said and done, Mr. Grace took to editing Peter Jackson’s The Hobbit trilogy to a single two-hour film as a means of unwinding. One of the more interesting themes of the film involves Stallworth’s relationship with Patrice, the president of the black student union at Colorado College. She is an ardent supporter of civil rights leader Kwame Ture, and Stallworth had infiltrated the rally in which he was speaking. Because she has little faith in the police force, he finds himself having to hide his profession from her. It leads to many interesting character interactions, and it shows that, while Patrice’s distrust for the law enforcement is understandable, Stallworth is doing the best he can to be an honorable policeman. They’re not quite on the same side, but they campaign against racism – just in different ways. Though I did enjoy the film for a majority of its runtime, I have to comment that much of its goodwill is lost in the final ten minutes. BlacKkKlansman is a textbook example of a film that doesn’t really end as much as it keeps going until it runs out of energy and dies. Once the operation is a success, the chief asks Stallworth to destroy the evidence. As he does so, he gets one last call from David Duke. Stallworth uses his opportunity to tell him who he really is, leaving the Klan’s leader speechless. Though this scene is incredible, reality has the upper hand when it comes to comedy; David Duke wouldn’t learn Stallworth was black until 2006. He was completely duped for nearly three decades. Even after the actual narrative is concluded, the film keeps going. Clips from the notorious Unite the Right rally in Charlottesville that resulted in three casualties in 2017 along with the president’s less-than-impressive reaction to the events are presented to the audience. Like much of Mr. Lee’s body of work, the film had forgone any and all notions of subtlety, yet even in light of his track record, this development came across as rather crass. To begin with, it was highly unnecessary given that earlier in the film, Stallworth and Zimmerman had an exchange wherein they talked about someone espousing beliefs sympathetic to the Ku Klux Klan would be elected president one day. When I watched that scene for the first time, I was astounded Mr. Lee had enough restraint to not have his actors wink at the camera. The biggest problem I have with the ending, however, is that it wasn’t the ideal situation for him to get on his soapbox and begin lecturing his audience. The reason I say this is because while it was his film, it wasn’t his story. It would’ve been more effective had the director included a brief snippet as to what happened to the real Ron Stallworth after this operation. While it’s entirely possible that many of these issues would have remained had the film been a completely original work of fiction, such an approach gives its creator more leeway to craft the message the way they want it. As it stands, Stallworth’s story is abandoned the exact second Mr. Lee decided to reach for the sledgehammer and begin bludgeoning his audience with his point. 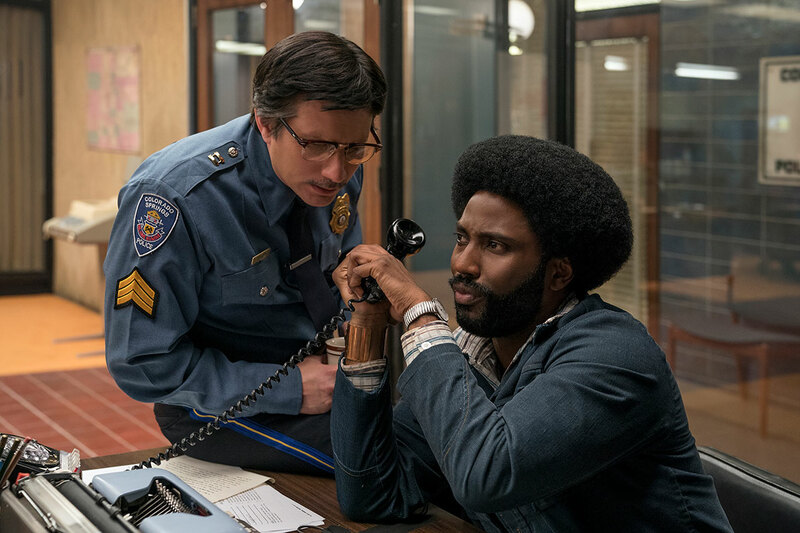 One could argue that the many creative liberties Mr. Lee took effectively made BlacKkKlansman a work of fiction inspired by real events rather than an actual biopic. The film takes place in 1972 as a stylistic choice despite the real operation taking place in 1979. Important characters are either very loosely based off of real people or invented for the sake of the film. Stallworth mentioned dating somebody at the time, which led to Patrice’s creation while no Jewish policeman is said to have assisted him in this operation, and it was doubtlessly done to increase the dramatic tension. Andy Landers, who is portrayed as a racist patrolman in the film, was described by Mr. Stallworth himself as woefully incompetent and arrogant rather than malicious. Although I relent some of these liberties were necessary given that many details of the operation are unverifiable, it still comes across as attempting to have one’s cake and eat it. In fact, one of the more disappointing aspects of the ending is that its unsubtle, scathing nature distracts the audience from a powerful piece of storytelling. Right before the clip montage begins, you can see that the leader is a tall man with dark eyes and a beard. There are two characters the audience has been introduced to who fit this description: Walter and Zimmerman. While it’s far more likely that the person under those robes is Walter, what if it’s Zimmerman? Is he still attempting to gather intel on the chapter despite the operation coming to an end? Did he buy into their ethos? Is it just some random racist? This aspect could have made for a fascinating talking point, yet it doesn’t get a chance to settle in the average viewer’s mind before Mr. Lee begins his clip montage. In the end, the inherit problem with taking such a heavy-handed approach is that it’s easy to accidently suffocate the brilliant ideas while allowing the more misbegotten ones to thrive. Proponents of this film’s message have argued Mr. Lee’s confrontational approach was necessary on the grounds that certain people don’t understand subtlety. Although I can’t deny that’s true, it’s a fatal error in judgement for a creator to underestimate the intelligence of their audience. Indeed, a major flaw countless satirical works from the 2010s shared is that I could tell the respective creators had no faith in their audience to walk away with the message they wanted them to parse. As a result, it was exceedingly difficult for moviegoers to appreciate works on their own terms. You either had to be on the exact same wavelength as the creator or their works would have no qualms leaving you behind in the dust. In this regard, BlacKkKlansman is a product of its time, and several of its facets date it to the exact year in which it was released. Despite its myriad mistakes, I find I can’t outright condemn the film because it really does have a message worth hearing out – even if it wasn’t tactfully handled. 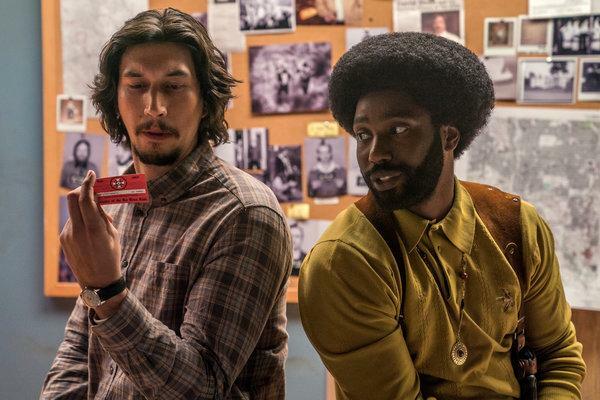 At the end of the day, BlacKkKlansman is one of those films that you either love or hate once the credits begin rolling – possibly both in equal measures. It might be worth checking out to see where you stand, but you shouldn’t force yourself to like it if it loses you. I ended up really enjoying it (it ended up placing #3 on my list of the year) but I can see where aspects of it might rub people wrong. Personally I didn’t mind the blunt final 10 minutes and greatly enjoyed the comedic final call between Stallworth and Duke. As for the modern montage, I think that one of the criticisms I’d lat at racial period pieces is that the ending to a lot of them leaves people feeling good about the state of things. For a large contingent of people, racism was defeated and these films are great at showing how we did it but it’s not a modern day concern and I think that was what he was combating. Is it blunt and jarring? Sure, but I think that was also his point and today they’re not talking in private and hiding under a hood, they’re right out in the open. So my take away from it was, this is a nice fun story about stupid racists getting hoodwinked by exactly what they hate but we still have work to do. I have little doubt it was a message that needed to be said because it really is naïve of certain people to think that racism died when slavery was abolished. That said, I still feel that the way Mr. Lee handed the last ten minutes did a good job ruining a lot of the goodwill he had going into the home stretch, which is a shame because it really was a well-made film. Now, I’m not saying he should have ended it on a disingenuous feel-good note, but I think he ended up overcorrecting and went too far in the other direction. As far as films dealing with race go, I feel Blindspotting and The Hate U Give were much stronger efforts because, while relevant, they aren’t terribly dated. Both films stuck the landing far more gracefully, finding an excellent compromise between giving its audience hope while warning them not to forget the messages they were told. 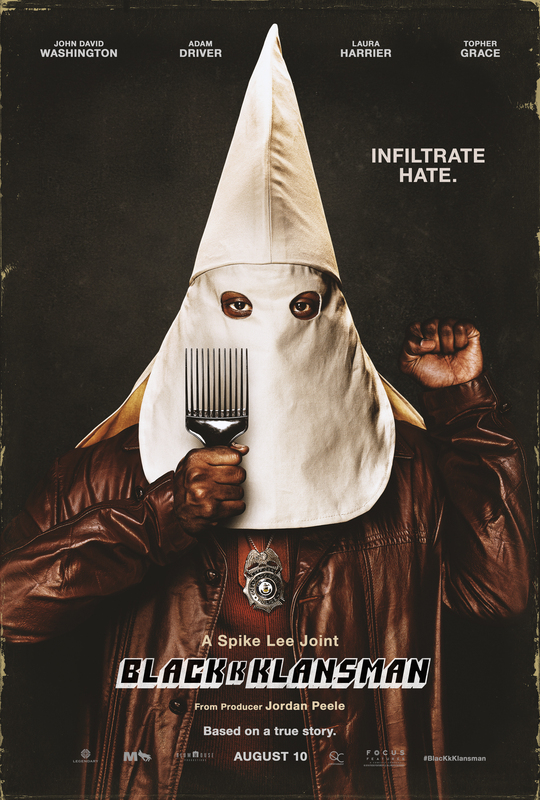 As for satires in general, I think that Sorry to Bother You is the film BlacKkKlansman tried, but ultimately failed to be. It too was completely unsubtle, but Boots Riley actually went out of his way to remove timely references from his work, which made it far more effective. Also, I too liked the final call between Stallworth and Duke; I just think reality has the upper hand. The idiot was none the wiser for twenty-six years; you can’t write this stuff. I’m in much the same camp as Kariyanine. Although I share Red’s sentiments about the heavy-handed references to modern politics, overall I enjoyed this Joint. As I said, I think it was a well-made film; but as someone who fully agrees with the points being made, it was a good message that wasn’t tactfully handled. I quite liked it, but I can see your point regarding the final segment of the film and the montage Spike Lee chose to end the movie with. Yeah, the film was already on-the-nose before then, but he just went off-the-rails in the last ten minutes. I wouldn’t be upset if it won Best Picture because it’s a message that needs to be said, but even looking back on it five months later, it’s pretty dated as a direct result of the montage.